Elder law is a broad area of legal practice concerning laws that apply to senior citizens over the age of sixty-five. It’s an umbrella that covers a range of other topics, including estate planning, elder abuse laws, medicaid law, and laws that apply to the probate processes after a person passes away. This guide is intended as a general overview, to give you a better idea of what elder law applies to, and how it may affect you during your retirement and old age. This guide is no substitute for genuine legal council. However, it can help you determine whether you may need the services of an attorney who specializes in elder law. Here are the basics of the different areas of elder law, and what you need to know about them if you’re a senior or a caregiver. Many seniors expect to leave money and assets to family members and other close associates upon their death. This can include liquid capital, real estate, and assets like motor vehicles or high value heirlooms like fine jewelry. While it can be unpleasant to think about, it’s essential for seniors and their families and caregivers to plan ahead for how the estate will eventually be distributed. An “estate” consists of everything that you own. If you have existing debts, you and your family should know that once you pass, those debts cannot be legally collected. However, it’s not uncommon for “loan sharks” to hound survivors of the deceased anyway, and legally, you may be liable for the debts if you agree to pay them. Money associated with life insurance policies or retirement benefits will pass to named beneficiaries, simplifying the process of collecting them. If property is owned jointly, it will pass to the joint owner. Other assets will be distributed according to your will and trust. An estate plan drafted with assistance from an attorney can make sure everything goes smoothly when assets are inherited. 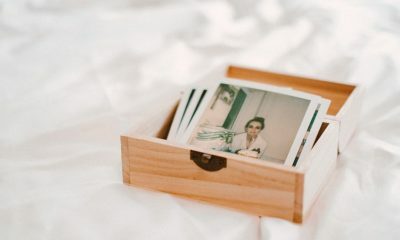 It can help prevent disputes between heirs, and allow your loved ones to mourn without worrying about red tape and financial confusion during the period following your death. There are several things that should be included in an estate plan: durable power of attorney, a will, and an estate plan. Durable power of attorney is a process that allows you to appoint someone — usually a child or another younger close relative — to manage your finances if you become incapacitated, which often occurs during illness prior to death. If there is no power of attorney appointed, the survivors of the deceased will have to go through a process in which a court will appoint a conservator for the estate. This process is time-consuming and costly, and arranging power of attorney ahead of time helps streamline the process and reduce expenses. You can work with an attorney to arrange a living will and trust, which can help avoid red tape from financial institutions, which are often very strict about recognizing power of attorney as a security precaution. 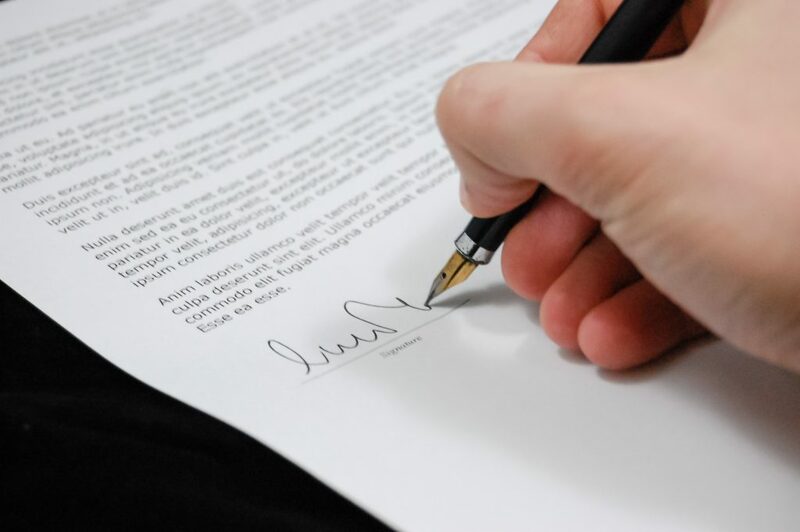 Your will is a legally binding document, which must be created and signed in sound mind. This provides statements of to whom assets will be distributed upon your death, as well as appointing a conservator for your estate. The process of passing on your assets is called the probate. There are certain things that aren’t covered under that probate, which can include money from life insurance policies, 401(k) accounts, and IRAs. This is because those benefits already have a named beneficiary in their own right. Tangible personal property, including things like motor vehicles, fine jewelry, and other heirlooms. You may appoint one or two people as executors of your estate. They will be responsible for handling the estate after your death. Trusts are a type of legal arrangement in which an appointed person holds a legal title to property, which they will then pass to a beneficiary. This has advantages like avoiding probate complications, reducing tax burdens, and protecting assets. Revocable trusts allow the trustee to administer and invest the trust property. Irrevocable trusts may only be distributed, not changed or amended. Testamentary trusts are created by a will, and do not go into effect until the will has been probated. Special needs trusts are created to enable a successor to continue to care for a disabled relative. The beneficiary of a special needs trust will remain eligible for other forms of aid, such as Medicaid, Supplementary Security Income, and low-income housing. You can create advance medical directives ahead of time, which will make certain decisions regarding end-of-life care. This allows you to determine things like whether you want to be kept on life support indefinitely during terminal illness or an unconscious state. Another important area of elder law involves the legal aspects of long-term care insurance. 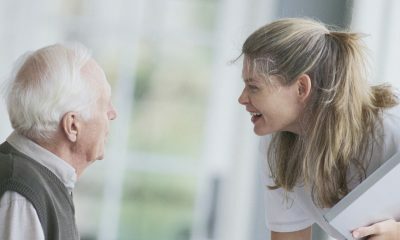 Unfortunately, Medicare is of little help when it comes to covering the expense of long-term care, such as assisted living retirement homes or skilled nursing facilities. They will only cover skilled nursing care that’s on a temporary basis, following a hospital stay of at least three days. So if you need to be in a nursing home temporarily while recovering from an injury or illness, Medicare can help cover the costs. But it doesn’t cover long-term care, which many seniors need toward the end of their lives. Unfortunately, long-term care insurance is generally a poor fit for low-income seniors, due to the cost of premiums. But if you can afford it, it can be worth having. Insurance plans can be purchased from insurance brokers, although some employers include it in their benefit packages for retirees. Due to expensive premiums, it’s fairly common for only one spouse in a married couple to be able to afford coverage. Statistically speaking, women are more likely than men to end up in long term care, as their overall life expectancy is higher. As a result, many heterosexual couples choose to purchase coverage for the female partner. Some insurance companies also offer shared care policies, which help get coverage for both spouses at affordable rates. “Probate” is the process during which a deceased person’s property is passed to their heirs. This excludes certain assets and properties, including jointly owned assets, life insurance, retirement accounts, and living trusts. Filing a will and petition. This is how the executor is officially appointed. If no one is specified in the will, the court will appoint someone as administrator of the estate. To have this occur, the family will need to petition the court with the help of an estate lawyer. Marshaling the assets. The family will need to compile a listing, if one does not already exist, that details all of the relevant assets that belong to the deceased. An attorney can assist in setting up an account to cover bills and expenditures, and generally, estate funds should be consolidated as much as possible. Taking care of bills and taxes. There is a federal estate tax that must be filed if the estate exceeds a certain value. Some states have lower taxation thresholds than others, and returns must be filed within nine months of the person’s death. Filing tax returns. A final income tax return must also be completed for the deceased. Property distribution. Executors will usually pay out assets after a period of time during which creditors are able to make claims. Filing the final account. An account is filed by the executor with the probate court. This lists any income that has come into the estate after the date of death, as well as expenses and estate distributions. On the whole, the probate process can take up to a year, and can incur some associated expenses. In many cases, arrangements like certain kinds of trusts can be created to specifically avoid the need for probate. Many people spend the last years of their lives in an assisted living facility, often one that provides skilled nursing care. Unfortunately, there is some variance in the quality of these facilities, sometimes to the extent of violating laws and regulations that govern elder abuse. 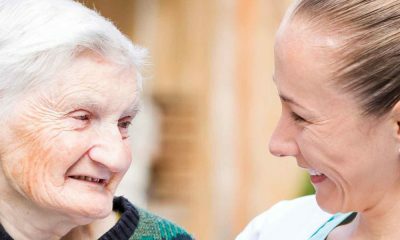 It’s important to know what to look for in a good nursing home, as well as how to know when you or a loved one may be a victim of elder abuse due to unqualified staff, mistreatment, and other issues that can arise. It’s important to vet a long-term care facility before you or a loved one move in, whether it’s a skilled nursing home or an assisted living center for seniors who retain a greater degree of independence and have fewer pressing medical needs. Choose a location where it’s easy for friends and family to visit regularly. This is important psychologically, and seeing friends and family can play a big role in a person’s long-term healthcare prognosis. It also allows children and relatives to keep an eye on the facility itself, and notice if something seems wrong. Ask for references. 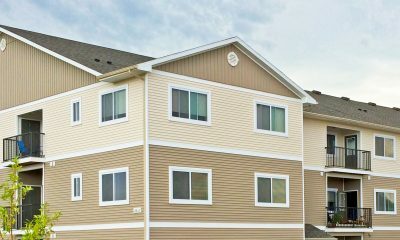 The facility can provide you with contact information for residents and their families, helping you get honest opinions about its quality of care. Look at reports from certifying agencies. You can find free comparisons here, courtesy of Medicare’s website. Medicare uses a five-star rating system to evaluate long term care facilities. These are based on overall quality, on staffing ratios, and on health inspections. Ask staff about their care plans, and about how they respond to concerns from residents or their loved ones. At good facilities, each resident has their own personalized long-term care plan. You should ask about information like how often those plans are adjusted and reviewed, what protocols are in place to handle problems (medical or otherwise), and other issues. In an institutional setting, residents have certain special rights in addition to the general legal rights afforded to all adult citizens. In 1987, Congress enacted a federal Nursing Home Reform Law, which has been folded into the sets of regulations that govern Medicare and Medicaid. The right to be free of discrimination, coercion, interference, and reprisal when exercising these rights. The following is a sequential list of steps that should be taken if the resident has a dispute with the facility. Talking about it to the staff. Talking to the staff’s supervisor. Holding a meeting with relevant facility personnel. Contacting an ombudsperson assigned to the nursing home. Reporting the issue to a state licensing agency if the issue constitutes a violation of resident rights. Hiring a geriatric care manager who can intervene on the resident’s behalf. Moving to a better facility, or moving into the home of a family member. Whether it’s an estate lawyer to help draft a will and trust, or a lawyer to help press charges against a nursing home in the case of elder abuse, it’s always a good idea to seek legal representation when you need it. Many lawyers offer consultations free or charge, or at affordable rates. You can always ask them if you have a case, or need their assistance.